Sheffield was at the forefront of national events celebrating World Car-Free Day on Saturday (September 22). Nether Edge Road was closed from 1-4pm for a Play Street. Green Councillor Kaltum Rivers, who attended the event, said: “The Play Street will give local families the change to get together and have fun, to chat in peace to their neighbours, without the fear of danger from cars and their noise and pollution. 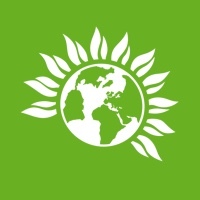 The Green Party marked the day around the country, while it calls for the government to increase spending on walking and cycling to £30/person/year, up from the current £6.50.